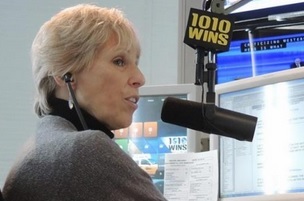 Johnny Ortiz: Judy DeAngelis leaving 1010 WINS is just like Derek Jeter leaving the Yankees. We will miss them both! And I love them both! Ken Roberts: Congratulations Judy!! It has been so wonderful hearing that spectacular voice proclaim “I’m Judy DeAngelis” every morning for the last 26 years. Have a fantastic retirement and sleep late!! One small request though… Can you please call my home once in a while with a wake-up call so I can hear that voice again!!! CIAO Judy. Jeter and Judy in one week… UGH!! DeAngelis’ husband, Barry “Duff” Sheffield, remains – at least for now – general manager and program director at WFDU 89.1 FM.